Near the end of Moses’s life, God directed him to teach the people a song. This is no simple folk song, but rather a complex prophetic lyric designed to confront them as they will inevitably one day stray from God and his ways. Contained within these inspired words is a reference to God’s providence in the establishment of peoples and their God-allotted regions. Nationhood and defined territorial boundaries are not the outcome of human will alone, but primarily emerge from the purposeful oversight of the Almighty. That much is clear in the verses above, but they include a curious statement about the relationship between borders and, according to this Bible version, “the number of the sons of Israel.” I make mention of this particular version because the text here is controversial. A quick glance over other English translations shows that another common rendering of this phrase is along the lines of “the number of the sons of God” (see ESV, etc.). Exactly what is meant by “sons of God” isn’t certain. It could be another way to refer to the sons of Israel, a generic reference to people of God, or to heavenly beings such as angels. The reason for the difference is in the manuscripts. The most common Hebrew manuscript is called the Masoretic Text (MT). Some English versions rely heavily on it, and only seldom prefer readings from other manuscripts. The MT reads, “sons of Israel.” The alternate reading, “sons of God” is from the oldest Greek translation of the Hebrew called the Septuagint (LXX). While it may seem to be more reasonable to prefer the MT over the LXX, since it is written in the original Hebrew, many scholars believe that the Hebrew manuscripts that were used by the LXX translators were older and thus closer to the original than the copies upon which the MT relies. Textual Criticism is the study of ancient manuscripts to determine what the original writings were. It might come as a surprise to some of you that this sort of thing is necessary at all. We might prefer to believe that exact copy after exact copy was passed on from generation to generation, but that isn’t the case. But note that in spite of differences like the one we are looking at here, there is far more agreement between manuscripts than not. Remarkably and thankfully, no discrepancy threatens any major element of Scripture. Whether the text reads “sons of Israel” or “sons of God” certainly doesn’t greatly affect the Bible’s teaching either in this passage or others. What I find most interesting is that many English versions prefer “sons of God” even though most other versions rely on the MT. While I hope the various translation committees followed this route due to high standards of scholarship, there may be something else going on. If indeed the correct reading is “when He separated the sons of man, He set the boundaries of the peoples according to the number of the sons of Israel,” then we are made to understand that the makeup of world geography is intimately linked to the people of Israel. I am concerned that the real reason to prefer the LXX over the MT here is a resistance on the part of Christian scholarship to accept the centrality of Israel in the outworking of world history. Few biblical scholars deny the place of ancient Israel in the development of God’s plans and purposes particularly with regard to salvation. But there is a tendency to cast off literal Israel in favor of a supposed New Israel, a generic people of God as it were. But if the MT reading is correct, then the very framework of nations and borders is somehow dependent on the people of Israel. By disregarding the ongoing nature of Israel in God’s economy, Christians unknowingly contribute to the disintegration of legitimate nationhood through misguided globalization in the name of unity, Christian or otherwise. But as I mentioned, the Bible’s central teachings are unaffected by the relatively few discrepancies in the various manuscripts. This verse is no exception. 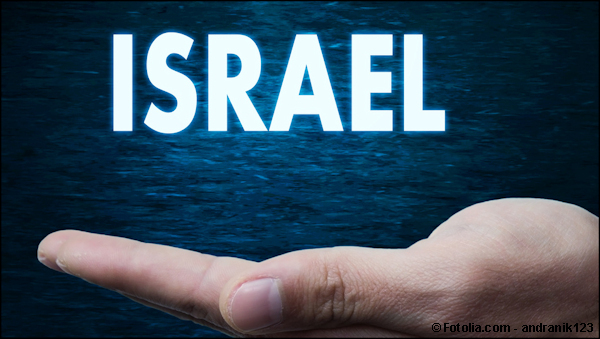 Whatever may be intended in this statement concerning the connection between national boundaries and the sons of Israel or sons of God, Scripture is abundantly clear about the foundational and ongoing place of literal Israel. For there is nothing controversial about what follows. As verse nine reads: “For the LORD’s portion is His people; Jacob is the allotment of His inheritance.” The use of Jacob reminds us that references to Israel in Scripture is not code for “the Church” or a post-Jewish generic “sons of God,” but that God has special regard and connection to the real, actual, physical descendants of Abraham, Isaac, and Jacob. To deny that is to deny the essence of the Bible.